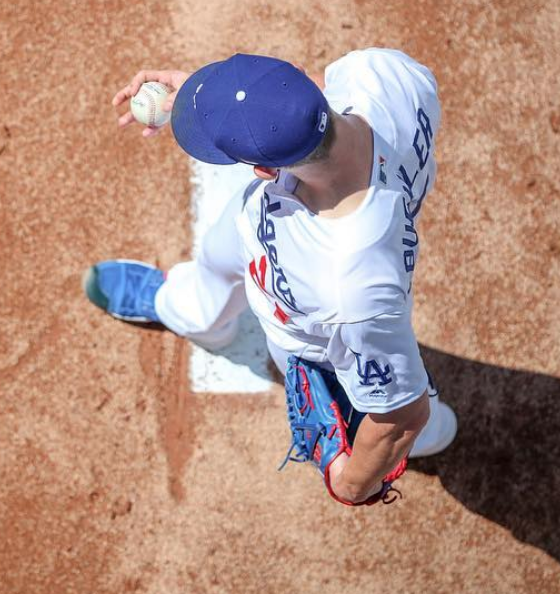 Los Angeles Dodgers player Walker Buehler. LOS ANGELES—The Los Angeles Dodgers clinched a National League (NL) West playoff berth on Saturday, September 29 when they defeated the San Francisco Giants 10-6. The Dodgers entered the 2018 season as a World Series favorite. Trades for third baseman Manny Machado, second baseman Brian Dozier, and third baseman David Freese have strengthened Los Angeles’ roster. The Dodgers currently are tied in the NL West with a record of 91-71. The Colorado Rockies are ahead of Los Angeles due to a tiebreaker, despite having the same record. After a tightly contested division battle for most of the year, Los Angeles must finish strong if they want to attain first place. The Dodgers will face the Colorado Rockies to determine the winner of the NL West. The loser of the game will face the Chicago Cubs as a wild card. That game will take place on Tuesday, October 2 at 8 p.m. EST. The only other teams the Dodgers are trailing in the National League standings are the Milwaukee Brewers (96-67) and Chicago Cubs (95-68). The Boston Red Sox (108-54), Houston Astros (103-59), and the New York Yankees (100-62) have the top records in the American League. According to oddshark, the Los Angeles Dodgers have and +850 odds of winning the World Series.